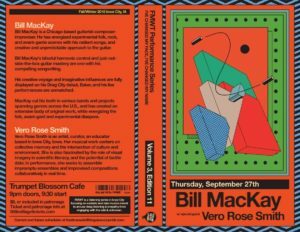 Last Thursday night, the Trumpet Blossom Café welcomed Bill MacKay back to Iowa City for the second time. MacKay took the stage with his arsenal of blues/folk/rock blend songs and expressed resonate sound that echoed through the open celling’s of the Trumpet Blossom. With the lights dim and the crowd watching while enjoying their friends and drinks, this venue made for a great intimate environment for music. MacKay is an artist based out of Chicago. 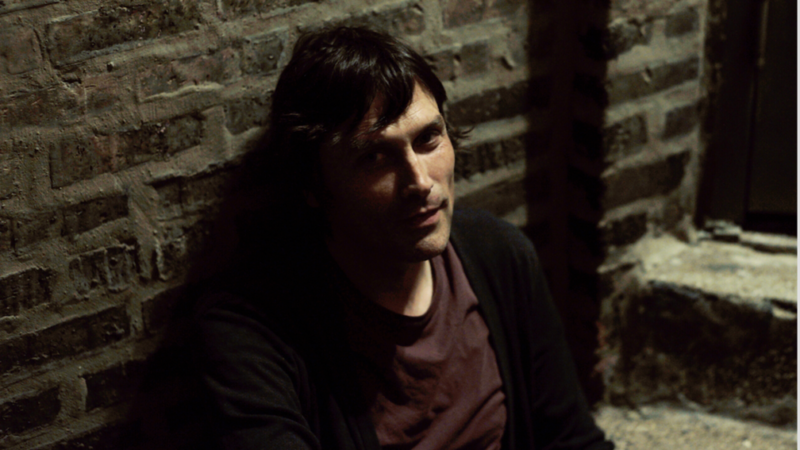 He has collaborated with many artists and helped form many noteworthy bands and artist such as Darts & Arrows, Broken Things, and Ryley Walker in SpiderBeetleBee. I sat down with MacKay and had an excellent conversation about music and his experiences as a artist that will soon be dropping as one of my “Ozzy’s Spotlight” Columns for KRUI in the next few days. 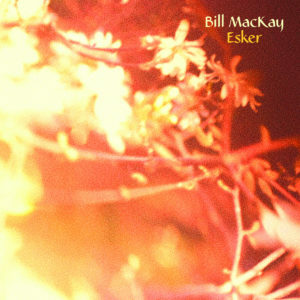 MacKay is currently touring a few dates for his new album, released on Drag City Records, Esker. 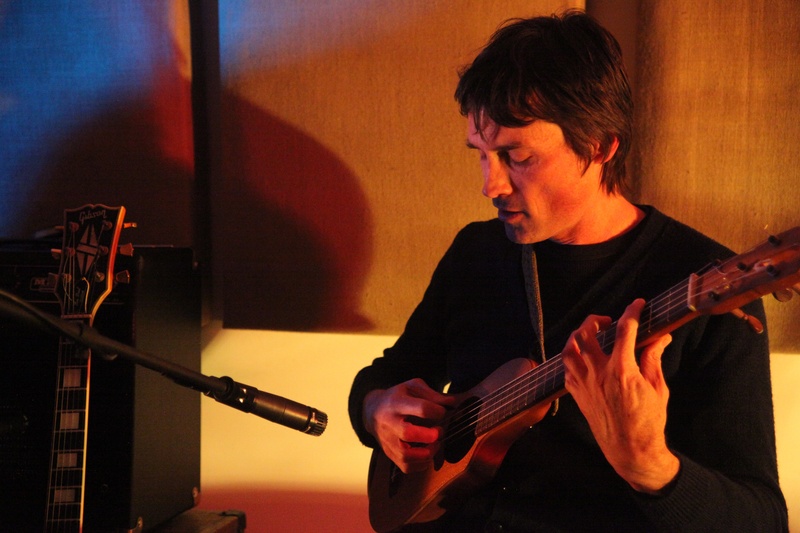 The new album is a beautiful blend of all the parts that helped influence MacKay in his music and to hear it played aloud in a live format was a very memorable experience. MacKay’s skills on the guitar were something I was truly taken back by. It was smooth and elegant and yet the sound that came from it was robust and full of melodious grooves that help create a world made of just his music and the venue. It was awe-inspiring to watch an artist who really knows their craft perform it in front of you. This concert was an intimate and subtle performance but that’s what makes it so memorable. MacKay wouldn’t want it any other way. 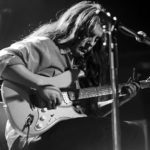 MacKay’s set consisted of old songs and new, but due to his being alone on this date, the only instruments being used were his voice and his guitar. That made it for a more primal and close affair. Seeing an artist truly take a stage by themselves in something that shows a side to them which helps you see the musicality and power brought to their music. MacKay definitely had that power to showcase when performing as a solo act. I must mention the local artist opening the show, Vero Rose Smith, whose opening set included such raw and original music about both her past and the present. She commented on the importance of hearing voices, especially women’s voices, in our society. Her songs and comments really rung true after the events of the current Judge Conformation hearing. 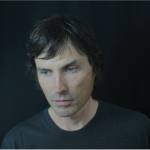 MacKay’s music can be found for sale on Drag City’s website or on his own website. They can also be found on Apple Music and Spotify.